As the (non-paid) Chair of the Canada Post Stamp Advisory Committee, I'll try to explain how an image of Stompin' Tom (and others) finds its way on to that small piece of perforated real estate. But how do we pick the subjects? Well, it all starts with the Canadian public. Anyone can submit an idea for a stamp topic or subject. Many stories and obituaries marking the recent passing of Stompin' Tom Connors gave prominent mention to the fact that the beloved Canadian singer-songwriter was featured on a stamp. 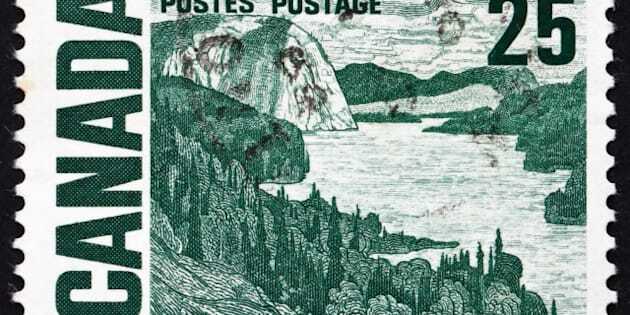 Some might wonder how that happened -- and how does someone end up on a postage stamp, anyway? As the (non-paid) Chair of the Canada Post Stamp Advisory Committee, I'll try to explain how an image of Stompin' Tom (and others) finds its way on to that small piece of perforated real estate. I will start with a bit of history. Until 2005, the only way to end up on a Canadian stamp was to be dead. The only exception was the ruling monarch -- for the last 61 years Queen Elizabeth II -- and living creatures, like the beaver, the moose, etc. There was an occasional blurring of this line -- living subjects were depicted on a series honouring NHL hockey, for example -- but they were deemed "representational" (wink-wink) and thus not in violation of the rules. One of the problems with being dead is that you really don't get to fully appreciate the honour of appearing on a stamp (or much of anything else.) At Canada Post we decided the policy had outlived its usefulness. The first beneficiary of this change was the world-renowned jazz pianist, Dr. Oscar Peterson, whose stamp was issued on August 15, 2005, on the occasion of his 80th birthday. I was fortunate enough to be present at the event, which included members of Peterson's family, as well as luminaries such as Diana Krall (a former piano student of Peterson) and Elvis Costello. The joy the event brought Peterson -- and the publicity it garnered nationally regarding a Canadian legend -- indicated we had headed down the right path. But how do we pick the subjects? Well, it all starts with the Canadian public. Anyone can submit an idea for a stamp topic or subject. Whether that suggestion comes from the Prime Minister or a six year-old, it gets equal consideration. Canada Post gets on average about 600 suggestions a year. Some are a bit strange, but all are treated seriously. And because we are limited to only 20 - 25 subjects and issue between 50 - 60 individual stamps annually, many worthy subjects just don't make the cut. The Stamp Committee, made up of 12 individuals drawn from across the country and possessing diverse talents and backgrounds, debates both the subjects and subsequent stamp designs. The meetings are not dull and the Chair's gavel can get quite a work-out. As this is just an Advisory Committee, the final say (or nay) rests with the Canada Post Board of Directors. In terms of individuals, like Stompin' Tom, the selection comes under a broader category, in this case Canadian Recording Artists. Tom was honoured along with three other artists (Bryan Adams, Edith Butler and Robert Charlebois) on July 2, 2009. Much as was the case with Dr. Peterson, Stompin' Tom was tickled by the honour, saying more than once that it beat every other accolade he had ever received. In other instances, the subject has yet to deliver what one would consider a "full body of work." One hit song at 14 would not qualify; plus, as a matter of practice if not policy, we prefer that subjects previously have been awarded an Order of Canada designation or a Governor General's Award. And of course this isn't limited to recording stars -- we issued a series on "Canadians Who Have Made a Difference" recognizing individuals for their humanitarian efforts, for example. And of course there was also the Royal Wedding last summer -- Kate and William proved hugely popular as subjects and sales were robust. It goes without saying that the market for the stamp -- especially among collectors -- is part of the decision-making mix. You'll get no payment for your suggestion, but you might make someone as happy as Stompin' Tom!